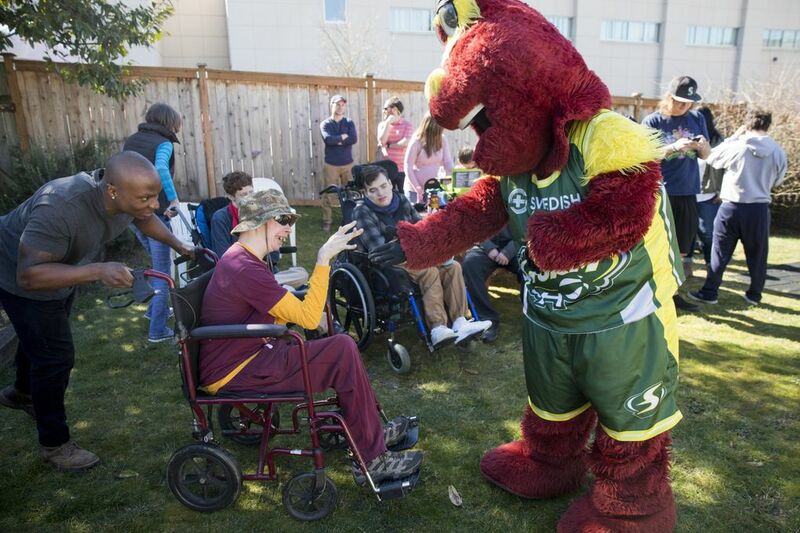 On a gloriously sunny March day, the sight of Doppler, the Seattle Storm’s mascot, elicited shy smiles from the members of Northwest’s Child, Aaron’s Place in North Seattle – a center for adults with special needs. 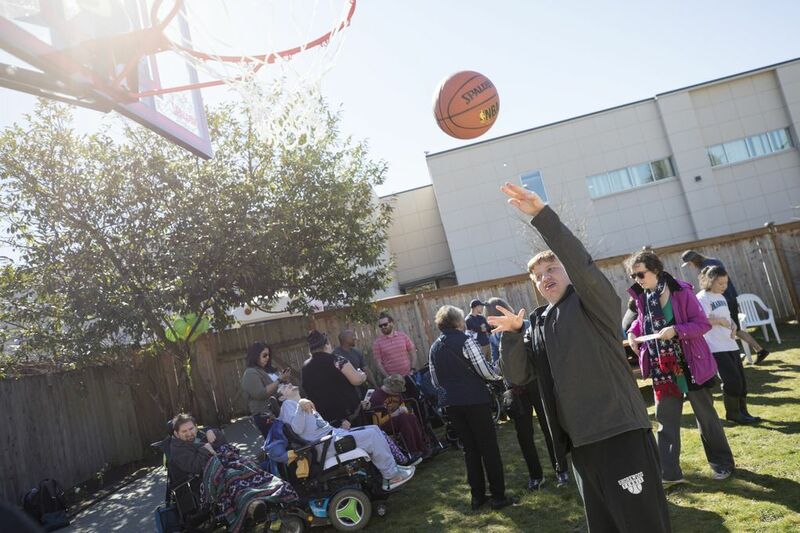 Students and staff of Aaron’s Place gathered in a half circle that morning to dedicate their new basketball court to one of their most beloved members who passed away in 2014. 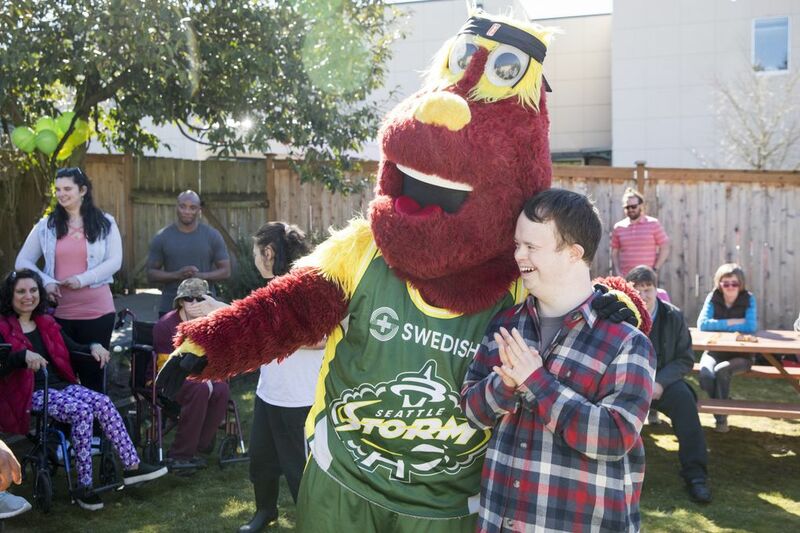 Vishal Saraiya started attending Aaron’s Place when he was 19 years old, and quickly captured the hearts of students and staff alike. 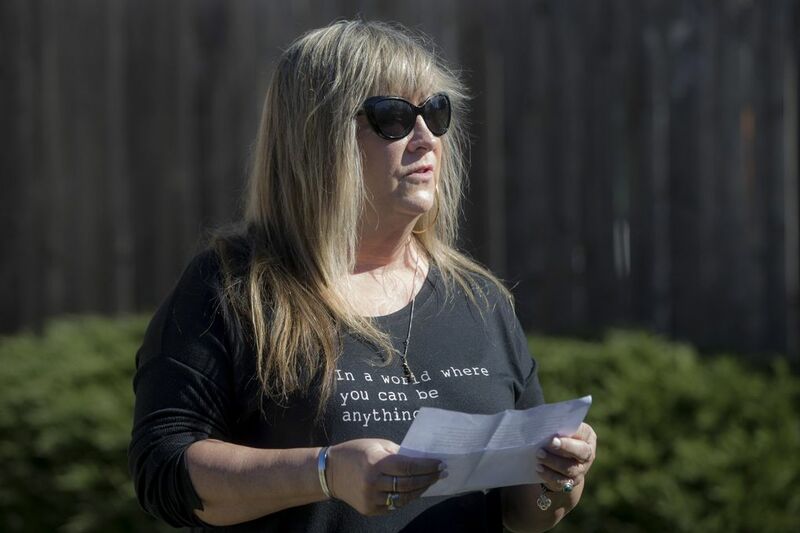 “He was the example of kindness, of tolerance, of courage and how to live your best life, no matter what gets in your way,” said Darcy Doyle Hupf, founder and executive director of Northwest’s Child. 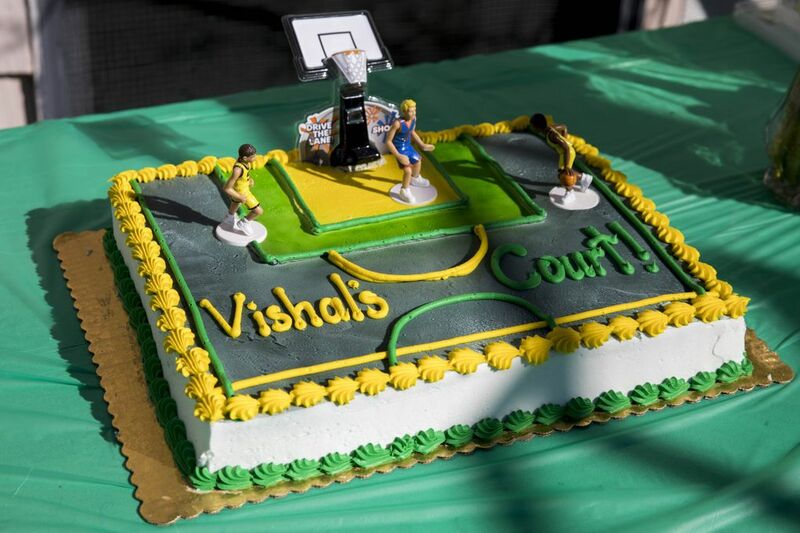 Vishal absolutely loved sports, and the Seattle Storm most of all. 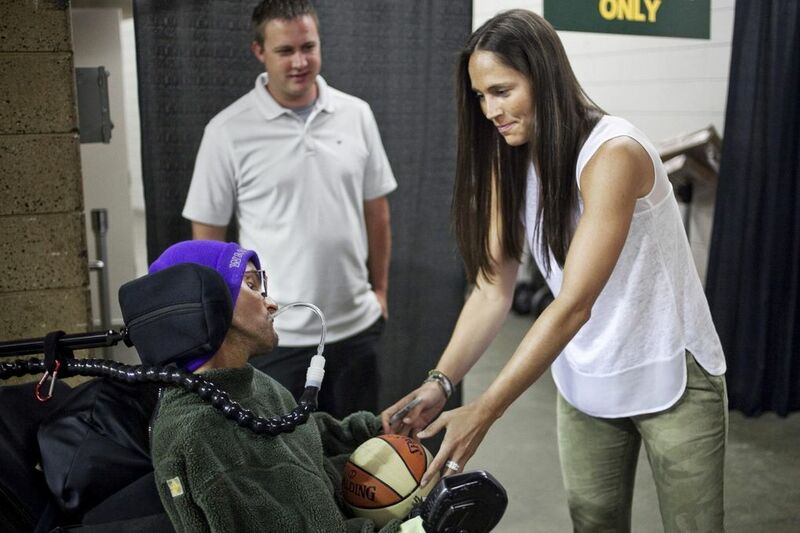 In 2013, he was invited to be an honorary ‘captain for a day’ with the team, and got to meet his favorite player, Sue Bird. 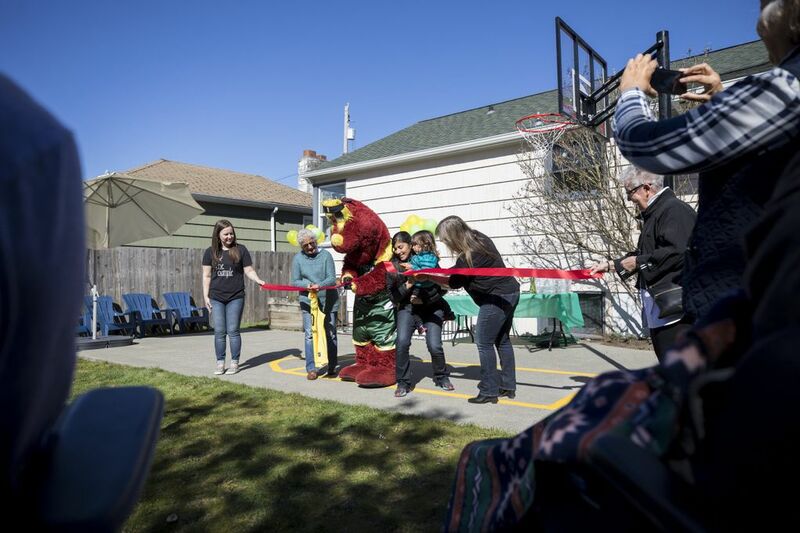 In honor of Vishal’s love for basketball, and to spread the joy it brought him, Northwest’s Child installed a basketball court in the backyard of its North Seattle location. 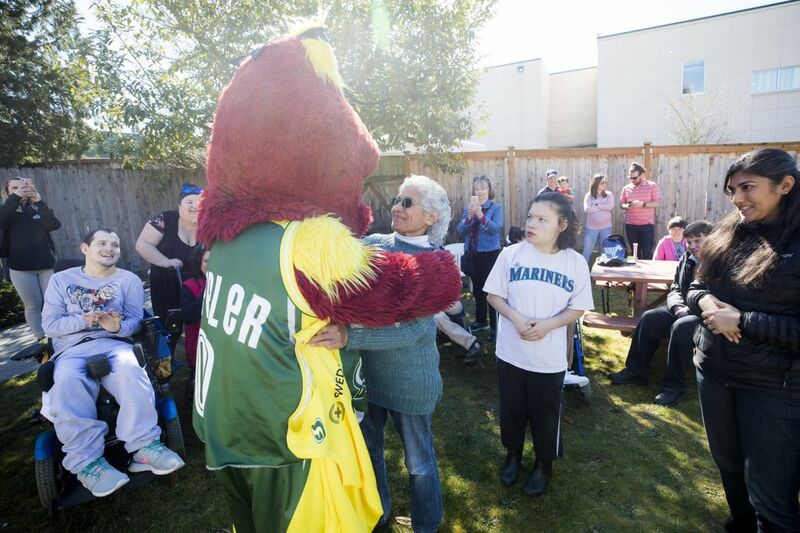 There also are locations in Bothell and Kirkland, serving people of all ages with developmental disabilities. 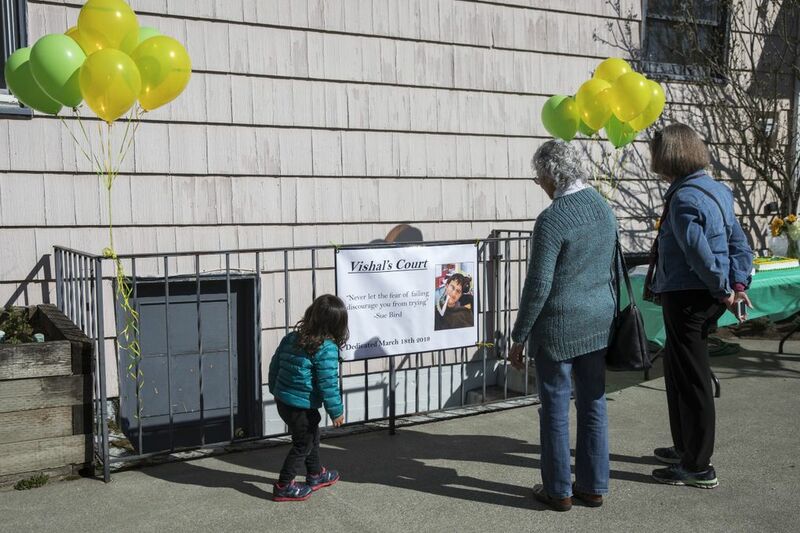 “He grew into a different person here,” said his sister, Devki Nagar, who flew from her home in California with her young son Shivam, 2, to attend the dedication and celebrate what would have been Vishal’s 32nd birthday. 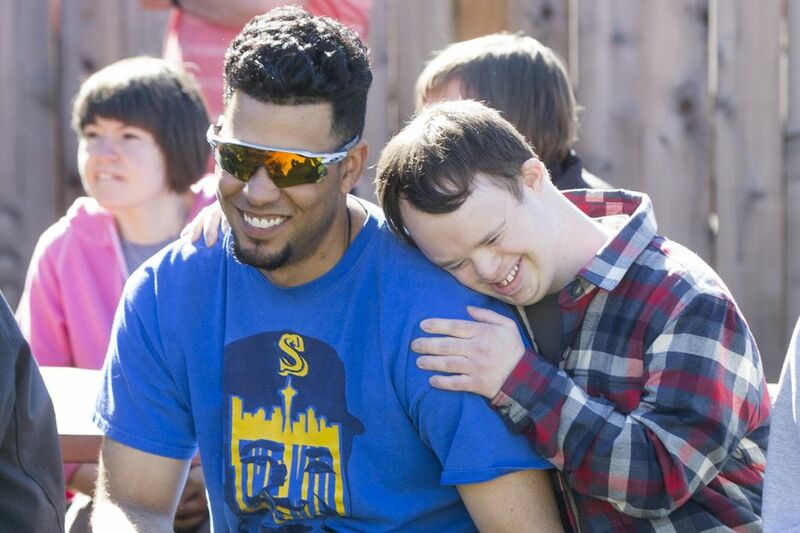 She said he blossomed in the warm, loving environment at Aaron’s Place. “It went both ways. 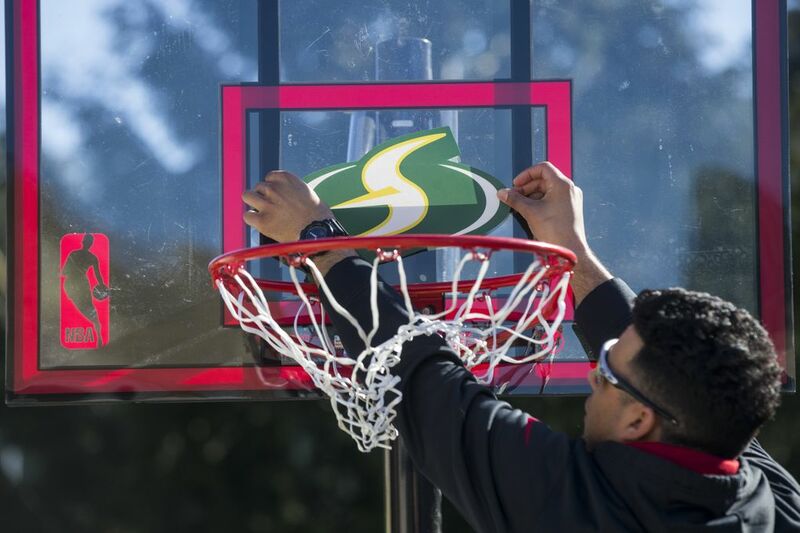 He had a good impact here,” Nagar said. 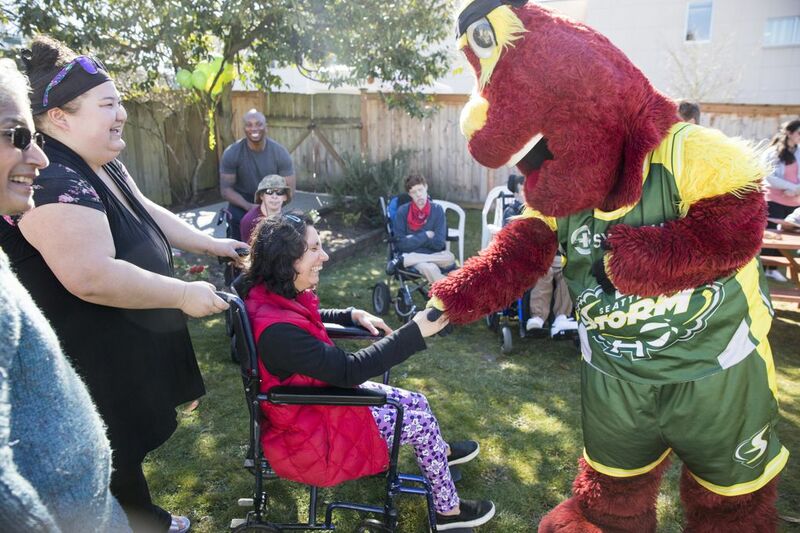 Vishal, who had Duchenne muscular dystrophy, passed away on Jan. 7, 2014, at age 26. 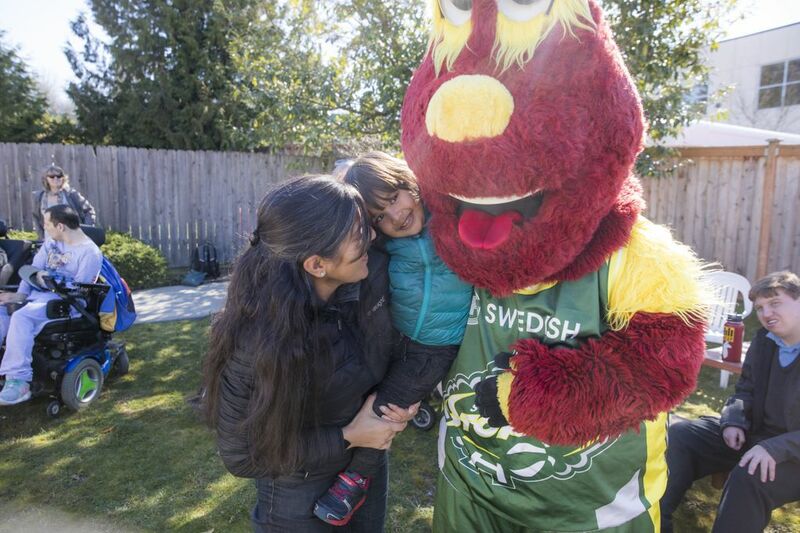 His mother, Urmi, carries on his legacy as a board member of Northwest’s Child. 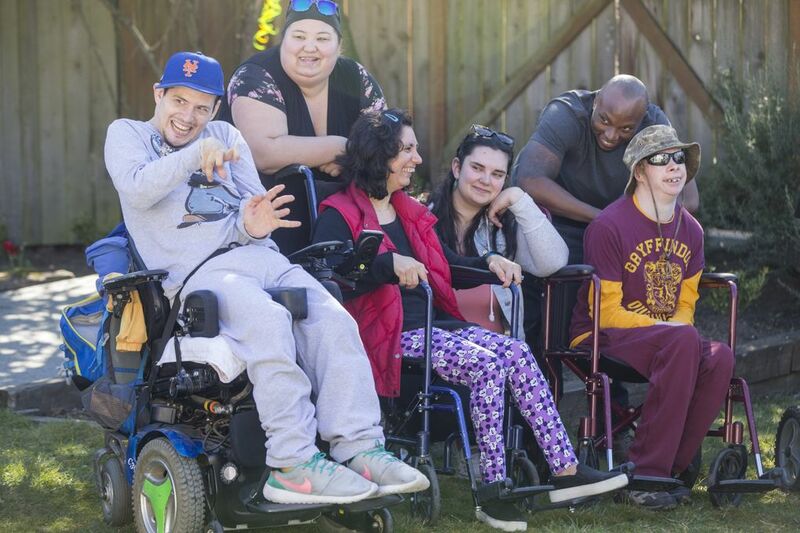 “They’ve just been such a family. 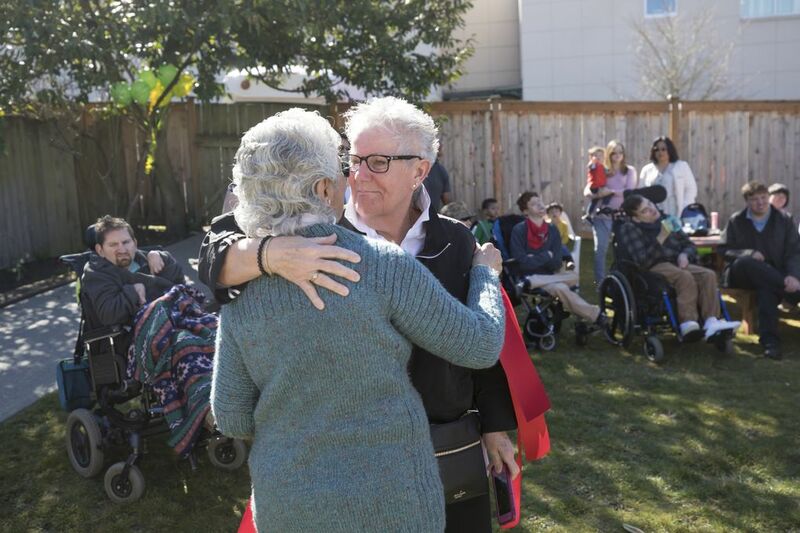 I don’t think I can leave them,” she said.